Barbie-like long legs, 60’s make-up, wavy locks and a thin and lean figure – check out Miranda’s black and white spread on the February 2013 issue of Jalouse Magazine! It’s different, but I like it! I kind of like it somehow – it’s somewhat haunting because she looks like an expressionless doll. Her legs look great in the last shot. do you really see a haunted doll in these pictures? is something wrong with me because all i see is miranda kerr in a photo shoot. I feel like i am at a museam surrounded by art critics who have found some special meaning in a blank canvas. Yeah – she does look different than usual thanks to the make-up, vacant expression and monochromatic shoot. It gives her an unreal, slightly eerie look to me. Doesn’t mean everyone is going to see it that way though! I usually can’t stand her but I really like this shoot. Especially the first shot. Not sure if she was meant to look vacant and haunted…somehow I think knowing what Miranda seems like…she wasn’t trying to do that. But it works and I like it. The eyes alone in the first pic made me think creepy doll. I like this shoot. I think she stands out when she does ‘fashion’ shoots because she has such a pretty face. I find a lot of high fashion models, lately, are not very pretty, just stick thin to fit the clothes. I really like this shoot too. She looks beautiful! different shoots.I am not a fan of first one it’s kinda scary.Second one remnids me of ukrainian human doll and the thirth one makes me love her body.Her body is simply flawless..
isnt ‘flawless’ a bit of an exaggeration? she does not have a whr, her upper half is boxy and she is sooo skinny to the point where it looks lanky, like her legs will break at any moment. She is just thin to me. She does not have that much of a fantastic shape. And? Maybe this is flawless to some people. I don’t care about those things. She is skinny, and lean and narrow, and I think that IS awesome and flawless. I swear I hate the ‘her legs look like they will break’ comment. 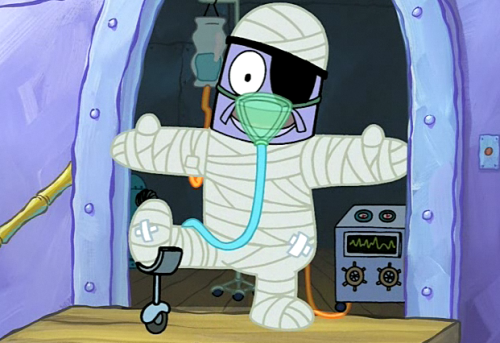 You won’t see a person walking and suddenly break in pieces… Unless of course it’s glass bones from Spongebob we’re talking about. Her legs will break?! I must be nuts then because I thought her legs look shapelier than usual; there is definition in her calves. And I too prefer a low whr but her top hides her torso anyway so it’s irrelevant here. I actually like a well defined waist unless it’s very dramatic as it kinda ruins the proportions.But I don’t think whr is a MUST when it comes to body.Miranda has an amazing waist without a definition.And her legs are not stick thin imo. Every human has a WHR – it’s a ratio. It just might be one that you don’t prefer. Go figure, so to speak. love her and the makeup and style, BUT her legs are s much better than this in real life!!! These seem like photoshop, a bad one! yeah it’s ok, yes she’s pretty. But like Guru says, this is well, i dunno. Boring ? In these pics she doesn’t even look like herself. Too photoshopped, her nose in the second pic doesn’t even look like Miranda’s.And her expressions are pretty lifeless. But like I said she’s pretty and I guess a lot of people really like her. She looks a little bit like Emma Rigby in the first picture! On a different note i find this shoot a bit blah nothing special but god do I envy her legs! Being 4ft11 myself it’s hard not to get jealous of anyone who has longer legs than me! She looks good, but I don’t see what’s so different about her except for the first picture. Anyway, I like it. Looking good but to me this is no “shoot” and has no longer anything to do with taking pictures of a real person. The pictures have been altered so much that you could just as well look at a computer drawn artificial girl. Her body is still perfect, even w/ the extra weight after child. Love this look instead of the commercial, ordinary styling of VS.